Chinese online travel website Ctrip.com International Ltd. reported its unaudited financial results for the fourth quarter and the full year ended December 31, 2010. For the fourth quarter of 2010, Ctrip reported total revenues of CNY835 million, representing a 39% increase from the same period in 2009. However, these fourth quarter numbers decreased by 3% from the previous quarter due to seasonality. 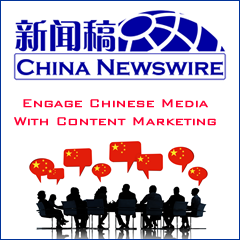 For the full year ended December 31, 2010, total revenues were CNY3.1 billion, representing a 44% increase from 2009. In the fourth quarter, Wing On Travel and ezTravel contributed 8% for the year-on-year growth for net revenues. In 2010, Wing On Travel and ezTravel contributed 7% for the year-on-year growth for net revenues. Net income attributable to Ctrip's shareholders was CNY302 million in the fourth quarter of 2010, up 59% year-on-year. Net income attributable to Ctrip's shareholders was CNY1.0 billion in 2010, up 59% from 2009. Gross margin was 78% for the fourth quarter of 2010, compared to 77% in the same period in 2009. Hotel reservation revenues amounted to CNY360 million for the fourth quarter of 2010, representing a 31% increase year-on-year, primarily driven by an increase of 27% in hotel reservation volume and an increase of 4% commission per room night year-on-year. Hotel reservation revenues increased 3% quarter-on-quarter. For the full year ended December 31, 2010, hotel reservation revenues were CNY1.3 billion, representing a 36% increase from 2009. The hotel reservation revenues accounted for 42% of the total revenues in 2010, compared to 44% in 2009. Air ticket booking revenues for the fourth quarter of 2010 were CNY320 million, representing a 35% increase year-on-year. For the full year ended December 31, 2010, air ticket booking revenues were CNY1.2 billion, representing a 39% increase from 2009. Corporate travel revenues for the fourth quarter of 2010 were CNY36 million, representing a 34% increase year-on-year and a 5% increase quarter-on-quarter, primarily driven by the increased corporate travel demand from business activities. For the full year ended December 31, 2010, corporate travel revenues were CNY130 million, representing a 56% increase from 2009. The corporate travel revenues accounted for 4% of the total revenues in 2010, remaining consistent with that in 2009. The effective tax rate for the fourth quarter and full year of 2010 was 19% and 17%, respectively, remaining relatively consistent with the same periods of 2009. The effective tax rate for the fourth quarter of 2010 increased from 17% in the previous quarter, primarily due to true-up of profitability. As of December 31, 2010, the balance of cash, restricted cash and short-term investment was CNY3.6 billion.